Ok. So maybe this isn't haute. But this is HA larious. Planking. A new craze. This is for real, and this is making my life. 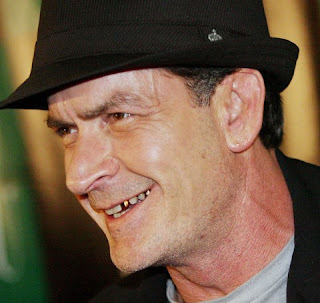 The hit HBO series, Entourage, currently filming it's final season are reaching out to metal mouth, Charlie Sheen. Creator, Doug Ellin, has been trying to sign him for an episode or even possibly a longer story arc. "I called his manager and was told maybe I'd get him," Ellin told TV Guide in their exclusive look at the upcoming season. "But I'm still waiting for Charlie to call me back. I'd come up with something good." No fear, if Charlie doesn't step up, the shows final season has lots of major pro athlete cameos and of course, the much anticipated Johnny Drama cartoon. Other surprises I'm sure. Men With Long Hair: Love It Or Hate It? A lot has been said about Tom Brady's hair. Too long, most say. NO WAY, says his wife, Gisele Bundchen. Personally, I hate it. Especially at Monday nights Costume Institute Gala at the Metropolitan Museum in New York City. Too greasy. Too long. Too done. I'm over it. If I were his wife, I'd cut that in his sleep. We’re not for everyone. So, Love us? Great. Hate us? Fine. Not sure? Undecided? Don’t care? That’s where we’ve got a problem. It’s time to get off the fence, get us on a sandwich and make a choice. Are you Miracle Whip? Pick a Side. Get a sample. Go to MiracleWhip.com. All of fashions elite are at tonight's Costume Institute Gala in New York City at the Metropolitan Museum of Art. This is the hautest ticket of the year. Thanks to Vogue.com for these amazing photos of the event. Vogue is running photos of the party LIVE. So click HERE and keep up with the beautiful people at the most magnificent party. Woman of the hour, week, month, year: Sarah Burton. Just days following the reveal of the royal wedding gown worn by Kate Middleton, for Alexander McQueen. Tory Burch has dressed Kanye West this evening. New Hollywood hottie, Ethan Peck. Go to Vogue.com for more photos as they happen. The United States of America has finally taken down enemy number one. 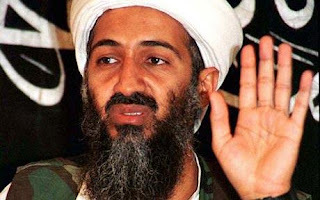 Osama Bin Laden is finally dead. This is one post where I don't title it with a RIP.